Maybe this would sound too harsh but the fact is that without a proper(working) tracking system, Pokemon Go augmented reality mobile video game is an utterly broken game. Pokemon Go had a slogan, and it said something like; one has to catch them all to become a true Pokemon Go master. But without a tracking software in place, most people would spend a good portion of their daily life searching for Pokemon Go monsters out in the wild without much to show for it. Last weekend, Niantic sent a clear message to all third party tracking application heads that the company doesn’t approve of their services. Niantic continued to move forward by sending cease and desist letters to the relevant personnel offering these third party apps for tracking, sometimes elusive, Pokemon Go monsters. That action adequately shut down each and every tracking and radar service for Pokemon Go augmented reality video game out there once and perhaps for all. Pokemon Go has had unprecedented overnight success. Honestly, the adjectives to describe its inconceivable success are fast running out. But Niantic Labs, it seems, isn’t content with that. By banning services such as PokeVision and PokeRadar, the message seems to be loud and clear. 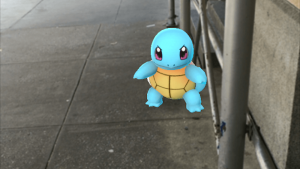 Niantic Labs wants total control of how Pokemon Go is played around the world. The evidence for that is the fact that Niantic Labs removed footprints beneath Pokemon Go monsters in the Nearby tab in the very next update. And if you’re asking the question with what Niantic Labs replaced the Nearby feature, then the answer is a big fat nothing. Apart from the letter John Hanke put out recently in the form of a long blog post, the company hasn’t said anything about how Pokemon Go trainers are now supposed to find Pokemon now. There have been no messages or explanation of how Pokemon Go players should go about their business of hunting down rare Pokemon and evolve them. If this is what Niantic Labs call sufficient community management then maybe the company deserves games like Ingress, which was an exact clone of Pokemon Go except for the fact that it came out earlier than Pokemon Go but didn’t have a Pokemon tag on it. For many players, Pokemon Go has become virtually unplayable. A lot of Pokemon Go players have commented that it has become impossible to catch Pokemon now. Perhaps Niantic Labs should be reminded that not everyone is fond of Pokemon Go and if the company doesn’t treat its fan base with respect, it stands to lose a lot of Pokemon Go trainers. Even with a healthy community relationship, some people might still not ever play Pokemon Go. Individuals who live in rural areas where there aren’t many buildings around, don’t have a particular reason to go to Pokemon Go simply because there aren’t enough Poke Stops or Pokemon around. The only people who have been able to experience the game the way it was intended by Niantic Labs are the ones who are living in densely populated urban areas. Places such as New York and San Francisco. These areas are filled with Poke Gyms every other block and several Poke Stops on nearly every street. Not to mention ample amounts of Pokemon critters, both rare and common ones. If you want to catch your favorite Pokemon, or some of your favorite ones too to evolve to your favorite Pokemon, then you need to be living in the center of a major city. Even then it would take you some time before you’re able to level up your trainer and hence, encounter some rare Pokemon. By now it should be easy for you to understand as to why PokeVision was such a luxury for Pokemon Go players around the world. It as apps like PokeVision and PokeRadar that filled New York Central Park with people late at night because of a report that Vaporeon was spawning in bunches over there. How did Pokemon Go players manage to find out about Vaporeon spawning in at New York Central Park? You guessed it; it was through PokeVision. Players have complained that it is impossible to catch Pokemon with limited Poke Balls now. It was because of apps like PokeVision and PokeRadar that friends were able to text each other about the whereabouts of rare Pokemon. The app also enabled Pokemon Go players to calculate meticulously the amount of time left before a particular Pokemon would disappear forever. Similarly, many Pokemon Go players were able to find rare Pokemon Go monsters such as Porygon, Voltorbs, and Magnemites because of looking up applications like PokeVision and PokeRadar on their smartphones throughout the day. And let’s not even mention that PokeVision helped a lot of PoGo(Pokemon Go) players in locating Dragonites which are truly a rare find in PoGo. What Niantic Labs fail to understand is that people simply don’t have the luxury of that much free time to wander the streets for hours on end to find that one elusive PoGo monster. People relied on applications such as PokeVision and PokeRadar to enhance their gameplay experience, not cheat. In short, for most PoGo players out there, using PokeVision and PokeRadar was the best way to locate, capture and then evolve their favorite PoGo monster. And besides, applications such as PokeVision and PokeRadar aren’t doing anything special. These services are only filling in the voids left by Niantic Labs in their latest augmented reality mobile video game. A lot of you folks would know by now that when PoGo launched, it’s Nearby feature was more or less broken. It was impossible for most PoGo players to understand and interpret what the Nearby feature was referring to when it showed footprints (one, two or three) beneath a Pokemon that appeared in the Nearby tab. Those footprints were supposed to indicate to players, how far they were from a particular PoGo monster. But, many PoGo players reported the feature to be unpredictable. As a result, very few PoGo players could figure out what these footprints meant regarding actual distance, you had to cover and in which direction. Some people were of the opinion that these footprints represented one yard while others said that they were somehow related to city blocks. And since there was no tracking service available within the game, people were forced to waste a lot of time walking around finding nothing but Zubats and Rattatas. Services like PokeVision and PokeRadar helped PoGo players and saved them a lot of time by indicating where and when to find the PoGo monster they wanted. PokeRadar mainly boosted PoGo’s community efforts since individual PoGo players provided tips, hints and last sighted Pokemon locations on a readily accessible, and filterable, PokeMap. This sharing of Pokemon area knowledge introduced a teamwork element that was absent from the game at the start. And now Niantic has killed those apps for reasons only known to their developers. To their credit, they have tried to explain the situation as reasonably as possible but a long blog post simply cannot make up for the advantage that tracking applications gave to PoGo players who actually had other more important things in life to attend to.